It'd be an understatement to say that the WrestleMania 35 fallout has been happening. It has rather been manically and shockingly explosive. We have had Superstars blocking one another, staff quitting, wrestlers publicly being vocal about issues, and so much more. The hashtag #IfYouOnlyKnew just makes complete sense to us in a time when the entire wrestling world has the same question, "What's next?" Well, we are all on the edge, looking forward to what will happen in these developing stories. In this article, we present 7 Post 'Mania stories that have shocked all of us WWE fans. 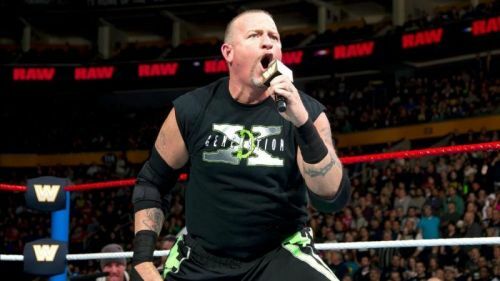 As first reported Dave Meltzer of Wrestling Observer Radio, the reports of WWE Hall of Famer Brian G. James, aka, Road Dogg quitting WWE earlier this week shocked all of us. WWE Veteran Road Dogg must have had a maniacal and magical WrestleMania week, being one of the creative heads in WWE and the fact that he went into the Hall of Fame as a member of DX. We reported a developing story that James had stepped down from his role as creative head of SmackDown LIVE. It had been speculated that the wrestling legend quit his position citing differences with Vince McMahon. However, this story now has had a newer and a brighter addition, as Pro Wrestling Sheet has confirmed Road Dogg will no longer be the head writer of SmackDown, but he’s not leaving the company. Also, Road Dogg didn't necessarily step down from his position, it was rather a mutual decision between him and WWE. This story shocked everyone in the wrestling world and got fans talking, but now it seems like the legend is going nowhere anytime soon.